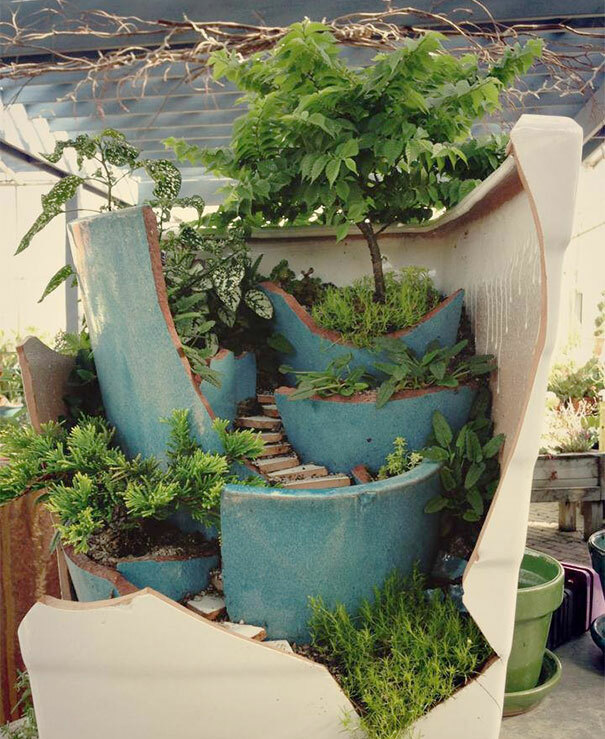 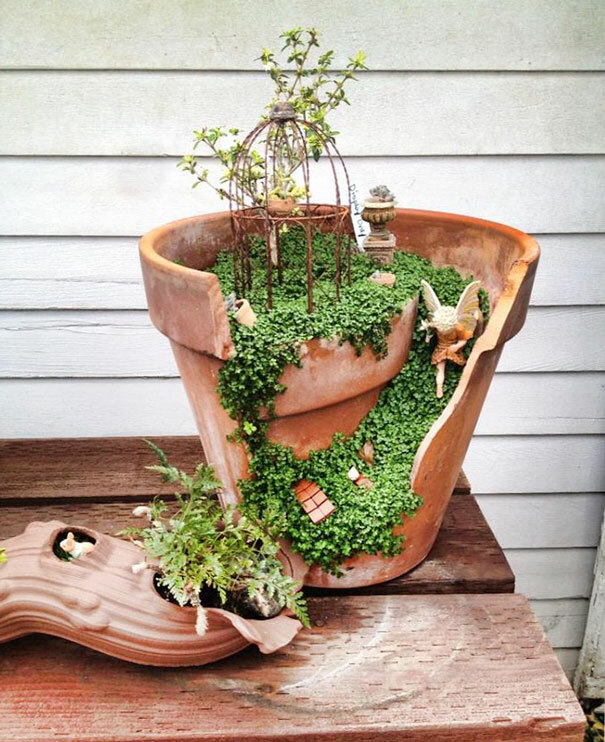 Such pots can be created either from the shards left from an accidental break or from a carefully planned cut. 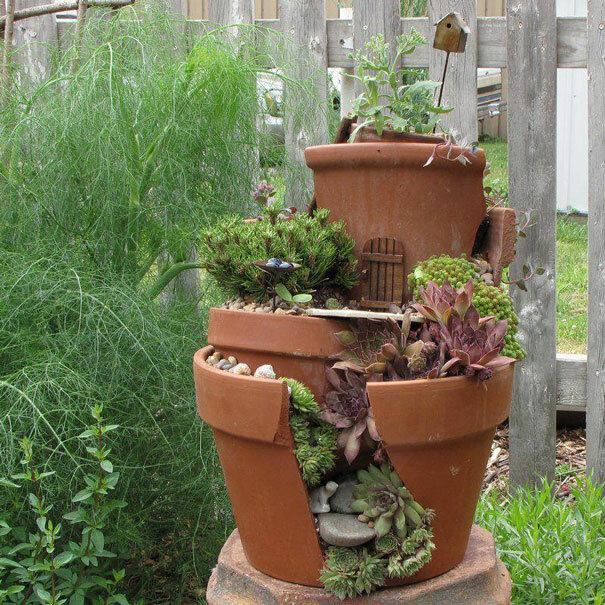 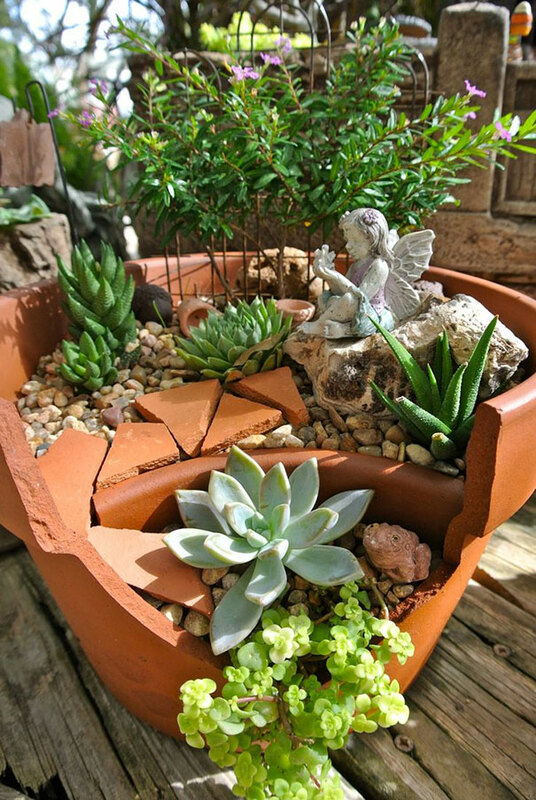 To cut such a pot, soak it and use a craft drill or file to create a weakened shape that can then be “broken” out with a hammer (be sure to use safety goggles and an air filter during this step). 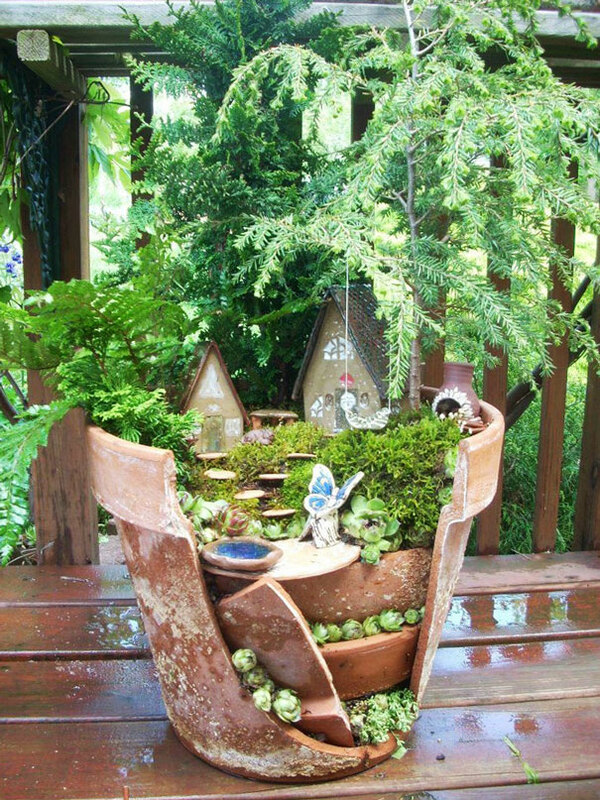 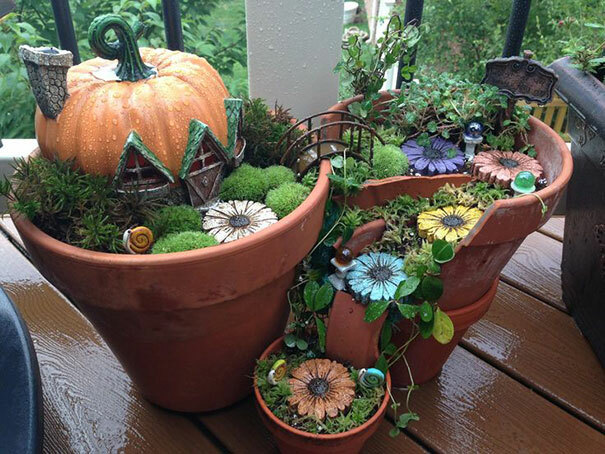 Then, fill the pot with planter’s soil and arrange the shards in the soil in any way you wish.